As you all know, November is Lung Cancer Awareness Month. A bunch of us bloggers have gotten together and are profiling a cancer survivor, caregiver, advocate, or health care professional each day this month. 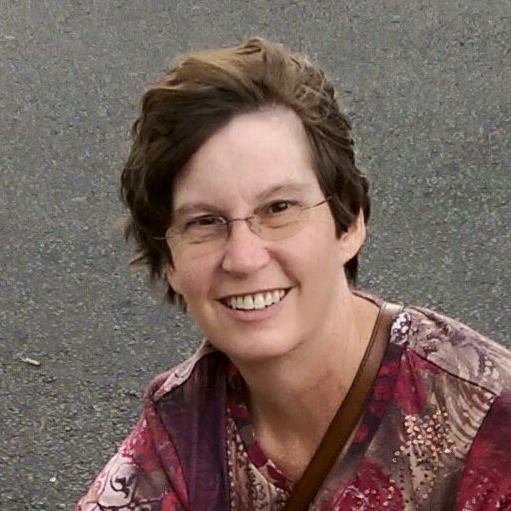 Today it is my distinct pleasure to introduce you to Karen Loss, a lung cancer patient and advocate who was diagnosed in late November of 2012 with stage 4 carcinoma NSCLC. Here is her story in her own words. I will celebrate my 3rd anniversary since my lung cancer diagnosis on Thanksgiving this year. When I was originally diagnosed, I was already a nearly 16-year survivor of concurrent primary cancers of the uterus and ovaries. In January, I will celebrate my 19th anniversary after those diagnoses. I am currently undergoing my 3rd treatment regimen. First, I had a combination chemotherapy comprised of Taxol, Carboplatin and Avastin. That was followed for about 6 months by Avastin maintenance therapy. When progression began again, I was put on my second tier treatment of Taxotere. After that shrunk my tumors once more, I went off all cancer treatments and stayed off for about 15 months, though I still received CT scans every three months. The last three scans showed ongoing slow growth in both tumors, but especially in the one on my hepatic dome. The trend was undeniable, so my medical team and I felt it was time to resume treatment and with a few different potential alternatives to consider, I chose to try Opdivo/Nivolumab. I have now had four infusions of this drug and have not yet had my first CT scan since beginning this new therapy. That will happen in the week following Thanksgiving, and I am already looking forward to seeing what it will tell me. During these past three years, I have never reached NED status, but the treatments I have been given have shrunk my tumors, keeping things well in hand so far.